There’s a new printable coupon available to save .50 Off ONE Tic Tac Gum or Mints 1 oz single pacs. To find this coupon fast, just go HERE and look for “Tic Tac” in the drop down menu. 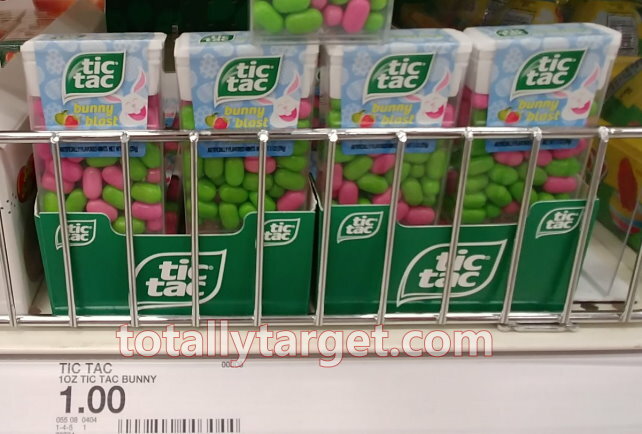 Target sells the Easter limited edition Tic Tacs for $1 to make for savings of 50% after coupon…. In addition – you can also still get a nice deal on other Tic Tac flavors too as they will be .67 cents per pack after the –.50 Off ONE Tic Tac Gum or Mints 1 oz single pacs coupon, reg, $1.17.